Goddess Parvati is one of the many forms of Shakti, the powerful feminine energy of the universe. She is the Goddess of Love and devotion. She is an auspicious goddess and the divine consort of Lord Shiva and represents virtue, skill, fertility, marital felicity, asceticism and power as per the Hindu mythology. Given below is a popular Parvati Mantra or Eshwari Mantra. 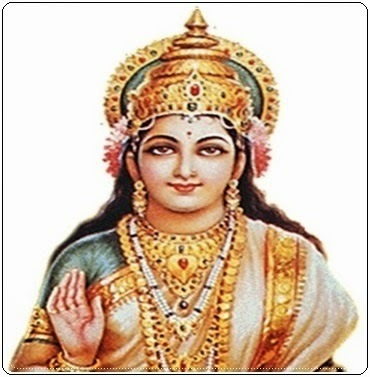 Another popular Mantra of this Goddess is the Parvathi Swayamvara Mantra which is the only moola mantra specifically written for making marriage happen by removing obstacles in marriage. This powerful mantra is made up of 48 letters. Apart from solving the delay in marriage, Swayamvara parvathi moola mantra is also used for solving problems in Pregnancy, misunderstandings among couples etc. Meaning: “O thou who is always in Union with Lord Shiva, give me the power of attraction and fascination, O Noble One!”This mantra should be recited 1008 times daily 108 days with utmost devotion for the removing of all obstacles for marriage. The recitations should ideally end by performing Parvathi Swayamvara Homa by Vedic scholars. This dhyana sloka should be recited every Friday evening regularly with utmost devotion for getting the desired husband early. Meaning of this Sloka: Goddess Parvati is the auspiciousness She is the consort of Lord Shiva and who grants all our hearts desires. I adore such Devi Parvati who loves all her children. I bow to the great mother who has given refuge to me.